What Are The Benefits Of Mining Wire Rope With Plastic Encased Core / Plastic Covered Core? In mining hoist ropes with plastic encased core, a plastic sheathing is inserted and impregnated between the outer layer of strands and the inner layer(s) of strands. This plastic filler reduces potential sliding of the various components while still allowing necessary movement. The plastic also fills the free space between the exterior strands which acts as a cushion and noticeably prevents friction wear damages. But perhaps the biggest advantage of this product is that the plastic covers the core, so it’s able to seal the lubrication in the inner strands and keep out the polluting agents that lead to corrosion. Northern Strands carries all major types of mining wire rope and attachments. The emphasis and scrutiny on safety in the workplace is increasing every day, and although significant advancements have been made in the field of fall protection, Canada (and specifically, Saskatchewan) still lags behind our neighbors in the US and significantly lags behind many European countries. One area of fall protection that is often misunderstood and overlooked is the design, installation, and maintenance of permanent roof top anchors. 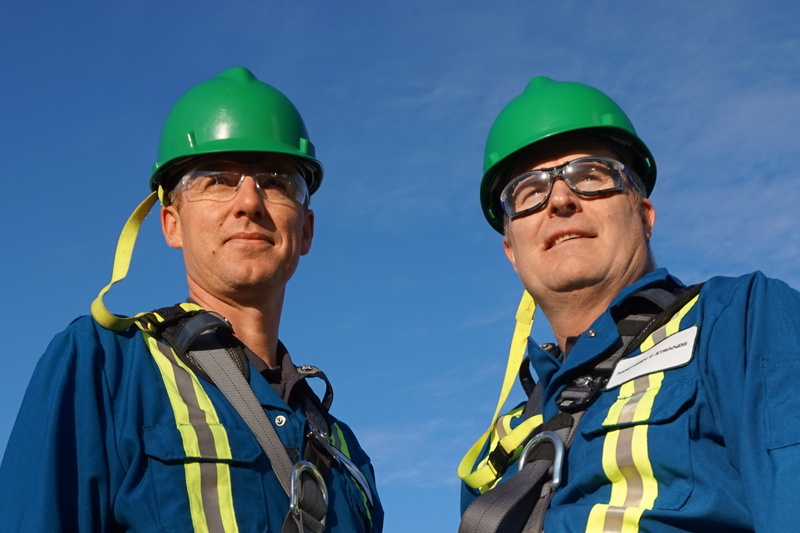 Saskatchewan OH&S regulations require fall protection to be present anytime a worker could fall 3m or more. This means that most buildings could benefit from having permanent roof top anchors for workers to tie to while working near the leading edge. Furthermore, many multi-story buildings require rooftop anchors to allow for window washing and maintenance. It is important to consider the need for these anchors during the design phase of new buildings. The cost of installing these anchors during a new build, when structural members are exposed and accessible is significantly lower than having to open up a sealed roofing system to install them once the building is completed. So, what do designers, owners, and users need to know about permanent rooftop anchors? According to the Saskatchewan OH&S regulations, a permanent rooftop anchor must have an ultimate load capacity of at least 22.2 kN (5000 lbs). Given this requirement, most of the anchors on the market are rated for at least 5000 lbs, so why is it even important to be aware of this requirement? Although the anchor itself might be rated for 5000 lbs, the substrate that it is fastened to and the fasteners themselves must also be capable of supporting a 5000 lb load. With the ever increasing liability placed on owners and designers, this means that it is always a good idea to have a professional engineer review the design prior to installation. The best resource for fall protection engineers is the CSA standards, and any engineer who is designing a permanent rooftop anchor should have in-depth knowledge of CSA Z259.16 (“Design of Active Fall Protection Systems”). For anchors intended for suspended access, CSA Z271 (“Safety Code for Suspended Platforms”) is a terrific resource. 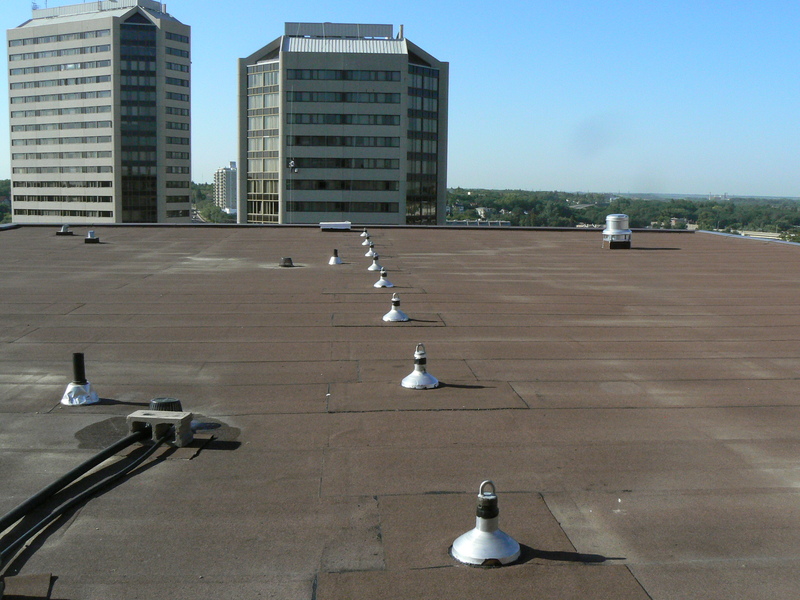 In regards to installation, permanent rooftop anchors should be installed as per the manufacturer or supervising engineer’s instructions and should always be installed by competent workers who have experience with fall protection systems. CSA fall protection standards are unique in that they require sealed as-built drawings, which is meant to ensure that the certifying engineer is involved throughout the entire project and properly reviews the installation once completed. Once the anchors are installed, it is important that they are maintained properly. All permanent roof top anchors should be inspected at least annually by a professional engineer or a qualified person under the supervision of an engineer. It is important for building owners to ensure that these inspections are carried out each year to keep users safe and to limit liability. As awareness of fall protection increases throughout the province and country, Northern Strands is here to provide our industry-leading expertise and exceptional customer service to ensure that everyone goes home safe at the end of the work day. Contact us to learn more about engineered fall protection systems. Northern Strands Safety Training Division Now Offering Overhead Crane Operator Training! Northern Strands is pleased to announce that it now offers a Overhead Crane Operator Course for overhead travelling cranes up to 50 tonnes in capacity! 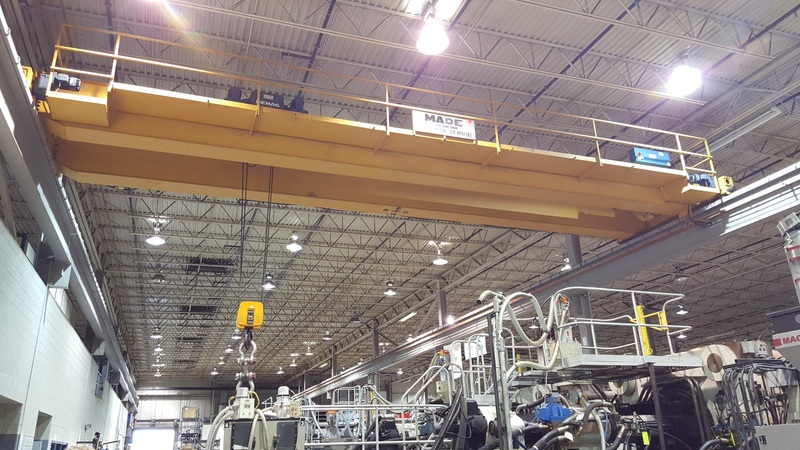 The overhead crane safety course is based on the Table 16 requirements for a competent operator that are set out in the Appendix of The Occupational Health and Safety Regulations, 1996 here in Saskatchewan. Learners can now get their full, 40 hour overhead crane course from Northern Strands, which includes a full-day below the hook rigging course as well as hand signal training. Overhead travelling crane certification can be achieved in either a 5 or 4 days, depending on how many hours per day the learners want to put in. The 4 day certification requires 10 hour days to make up the total 40 hours of combined practical and theory training. Competent operator training for an overhead crane is designed to be as hands-on as possible to let learners get as much time actually operating an overhead crane as they can during the course. If you are seeking training for a competent operator of an overhead travelling crane up to 50 tonne in capacity, contact us anytime and we can make it happen! All Northern Strands Trainers are fully accredited and certified.